Jonesing for a classic French scarf or a shiny retro bauble? This Paris shopping tip is for you. 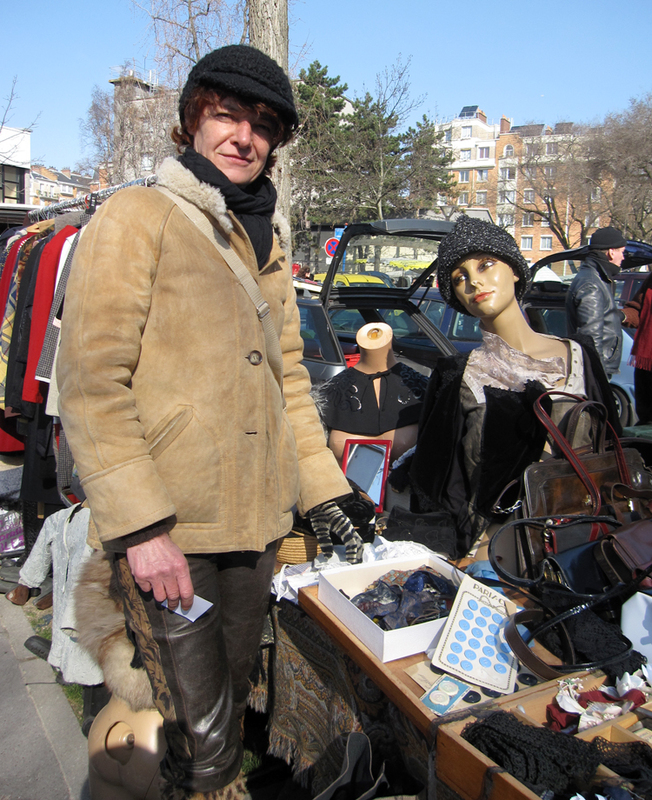 If you only have time for one flea market trip during your trip, I suggest hotfooting it to the Porte de Vanves Flea Market either on Saturday or Sunday morning. I’ve been shopping here for over a decade because the prices are affordable and the wares are eclectic. Kitsch abound! Here you’ll find tables, racks and boxes of vintage clothes, along with beaucoup accessories like jewelry, bags, belts, hats, sunglasses, and shoes. Looking for fine vintage duds? Pop by Martine’s booth. She’s been with Porte de Vanves for a decade, and her prices and inventory rock like no other. 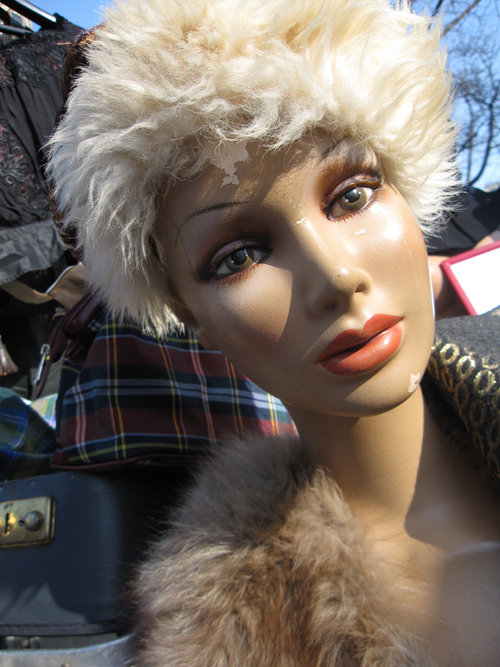 Plus, her collection of mannequins is very charming! If you’re on a quest for something specific, ask Martine. Vintage clothing and accessories are her life passion. The Porte de Vanves flea market opens around 8:00 AM on weekend mornings, and the dealers start packing up before noon. So get plenty-o-beauty rest and arrive early. Carry cash and pack a sturdy bag for all your treasures. Also, just after you leave the Porte de Vanves Métro station, you’ll find an ATM machine, along with a boulangerie and a café with a WC. Life is good. Questions about the Paris flea market scene? Ask away! 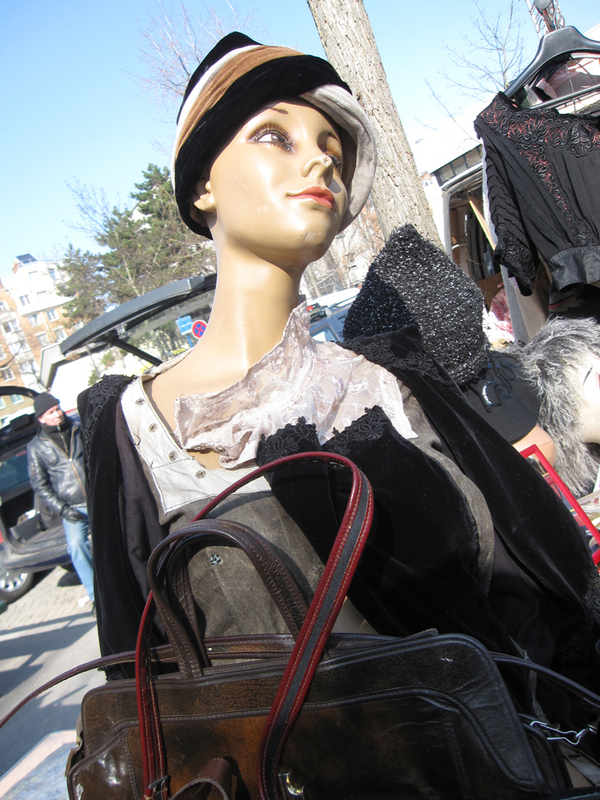 I love flea markets–is this one open every weekend (Saturday AND Sunday?) and is it open even if it rains? And do they sell antiques, too, or just old clothes? Okay, I’m definitely going here next time I’m in the area.